Emirates today extended its reach into Iran by linking Dubai with Mashhad, adding a second passenger gateway into the country after Tehran. On board the inaugural flight were Sheikh Majid Al Mualla, Divisional Senior Vice President Commercial Operations Centre for Emirates Airline; Khalid Al Hinai – Vice President Cargo Commercial for the Middle East, GCC and Iran; HE Dr Mohammad Reza Fayyaz, Iranian Ambassador to the UAE ; Mr Mohamad Hosein Moghadam Taghizadeh, General Manager of the Iranian Hospital; and Naser Hamidi Khah, Managing Director of the Iranian Club. They were accompanied by a group of UAE media. Upon arrival at Mashhad International Airport, the aircraft was met by a senior delegation from the airport, headed by Eng. Ali Gasem Zedeh, CEO of Mashhad Airport. The inaugural event was followed by a welcome reception and gift exchange ceremony. Emirates’ five weekly flights, operated by a combination of a three class and two class configured A330-200, will help further stimulate the vital trade ties between the UAE and Iran. The UAE is Iran’s biggest non-oil trading partner. It is also Iran’s biggest source of imported goods, worth more than AED 93.5 billion in 2014. In turn, Iran exports goods to the UAE valued at AED 3.8 billion, according to the UAE Ministry of Economy. Emirates’ services to Mashhad will depart on Sunday, Monday, Tuesday, Wednesday and Friday from Dubai as EK967 at 0410hrs arriving at Mashhad International Airport at 0700hrs. The return flight, EK968 will depart Mashhad International Airport at 0845hrs arriving in Dubai at 1045hrs. In addition to passenger operations, Emirates SkyCargo will offer up to 150 tonnes of cargo capacity per week between Dubai and Mashhad on the A330-200. Popular commodities to be exported out of Mashhad are fruits, vegetables, handmade carpets, saffron and nuts. Imports such as meat, pharmaceuticals, medical equipment, machinery and automobile parts will also be vital to the trade exchange. Emirates commenced services to Iran in 1990 with two flights a week to Tehran. 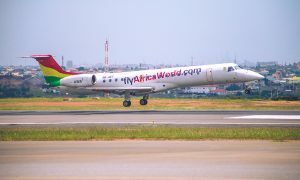 It now operates four daily flights to the capital city. Since then, Emirates has carried 7 million passengers in and out of Iran.